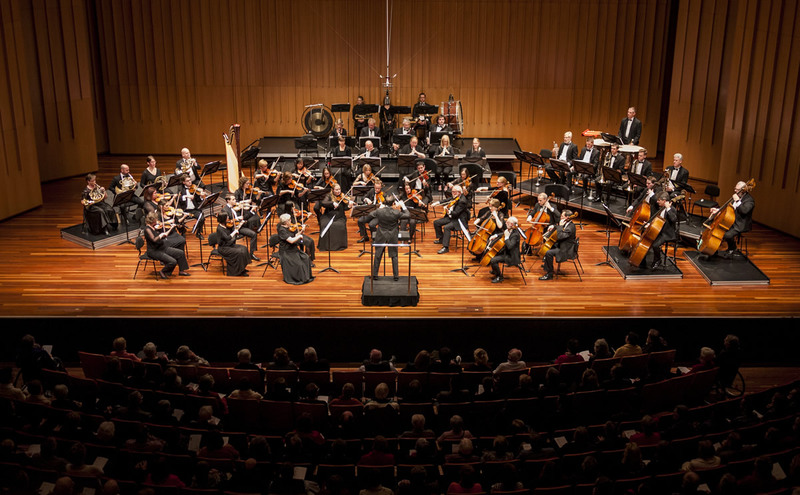 Canberra Symphony Orchestra’s second concert in the Llewellyn Series showcased the breadth and depth of the orchestra with a mix of works ranging from ‘smaller’ orchestra to its full might for the showpiece Brahms Symphony No. 3 Op 90. Held on May 17 and repeated the next evening, the second concert was entitled Cello and featured guest conductor Stanley Dodds. Haydn’s opera L’isola disabitata (The Desert Island was his 10th opera) premiered in 1779. Although the opera is rarely performed its overture is a sparkling work with many mood changes and lots of sturm and drang. The small group of string players brought out these elements while presaging the action of the opera which is a love story. Guest soloist for the evening was the Italian-born cellist Umberto Clerici who is currently principal cellist of the Sydney Symphony Orchestra. Drawing on the marvellous colours of his 250-year-old Italian cello he gave a masterful performance of Schumann’s Cello Concerto in A minor. An unusual work with the three movements played as a continuous piece, although the different sections were clearly delineated. A deeply romantic work, his playing combined elegance and freshness with vigour. A true Italian – rather casually dressed with open-necked shirt – Clerici reminded me of someone having a love affair with his instrument with marvellous facial expressions as he cajoled luscious sounds from the cello. Peter Sculthorpe composed many works drawing inspiration from the Australian landscape and the evocative String Sonata No 3 entitled Jabiru Dreaming captures many aspects of remote Northern Australia, physical climate, indigenous melodies and chants and particularly the sounds of birds and insects. It is amazing what evocative sounds a string group can achieve. I have not always been a fan of Sculthorpe but this dazzling performance won me over. I particularly liked the chance that the leaders of the different string sections had to show their skills. An astute piece of programming juxtaposed the Schumann concerto with the major work of the evening Brahms Symphony No .3 as the composers were very close although separated in age. Some of the themes of the symphony hark back to Schumann. The sweeping melodies of the first movement rose to a number of climaxes before returning to quieter, more reflective tones. The work has a rather pastoral feel, and the performance brought that out, not too rushed but all hanging together beautifully. The andante provided an opportunity for the brass instruments to shine. A short allegretto led into the stirring finale the orchestra driven along through different parts leading to a big climax which just when it appeared the symphony would end in a blaze of sound the work drew to a quiet conclusion which held the audience rapt. Canberra is very fortunate to have such a wonderful orchestra and this concert proved the depth of talent in the city which must be cherished and supported.